WARNING! This could be a case of "fool me once, shame on me, fool me twice, shame on you". That's because New York rock gods KISS did conduct their first farewell tour back in 2000. 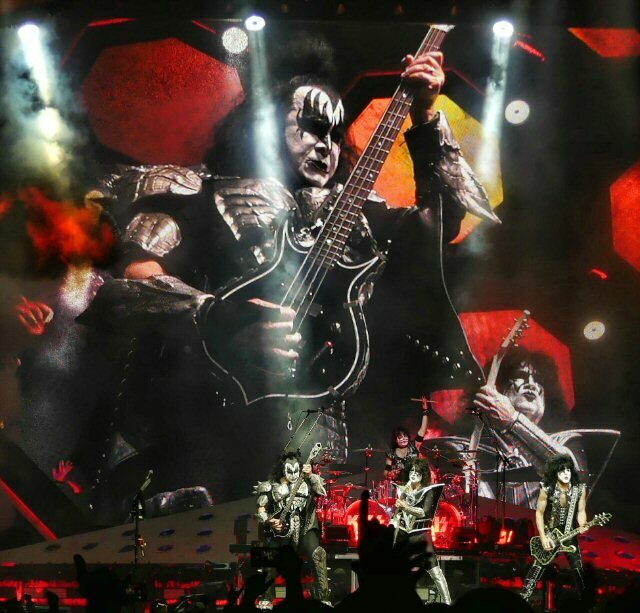 But, when their "End Of The Road" outing rolled into Nashville's Bridgestone Arena on April 09, 2019 the enduring thought in our heads - and those of thousands of other members of the KISS Army in attendance - was, "we sure hope not". KISS Meets the End of the Road in Nashville. 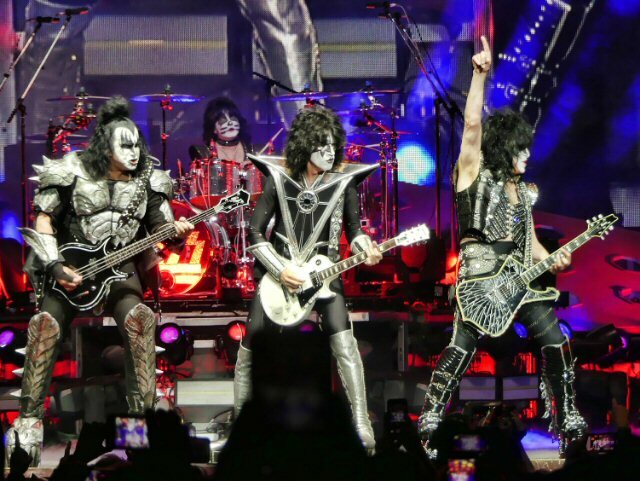 It is true that frontman Paul Stanley did say many times in between songs during the two-plus hour spectacular spectacle in Music City something to the effect of, "Hey Nashville, this is it. Tonight is our last time in your town." And the pre-show banner that adorned both sides of the technologically fearsome and monstrous stage was emblazoned with the words "The Final Tour Ever". We'll give them that. But, after the high-energy, joyous and technically proficient pyrotechnic powered rock show - we're not sure that's the last we'll see of KISS. I should back up and tell you I was an early KISS advocate asking for - and receiving - the mighty KISS Alive II for Christmas in 1977. This album terrified my staunchly Irish Catholic mother who was slow to warm to the costumed quartet that some in religious circles feared were apocalyptic kings in Satan's service. For me decades later the only guilt and shame I felt was over the fact that somehow I never saw these hallowed rock rebels live in concert. 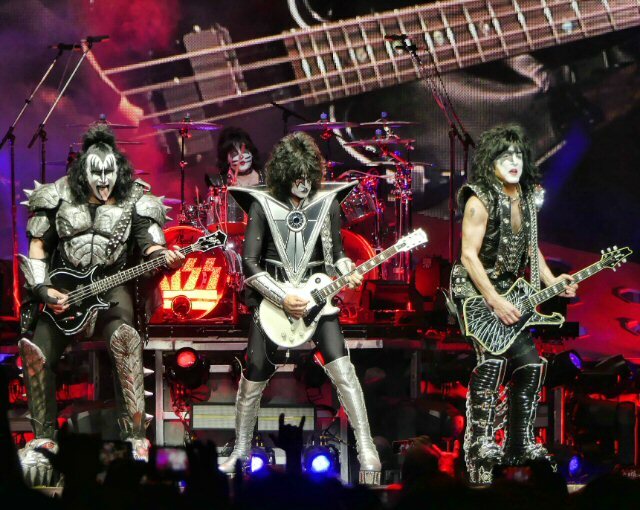 KISS are Rock Hall of Famers and real-life comic book heroes. But, when lead singer Paul Stanley asked the crowd how many of them we're at their first KISS show almost half of the throng raised their hands with a shout. This fact alone is remarkable. Forty-five years down the line and the group is still growing their audience. How do you walk away from that? At least I wasn't alone as a first timer. When he followed up the question with an enthusiastic - "you'll never forget your first KISS!" - the phrase rang with veracity. Anyway, this really isn't the last we'll see of KISS at least on this tour. The 4-leg, 105 date bonanza hits North America and Europe before culminating in Auckland, New Zealand on December 3. So with the bulk of shows still ahead of them there's a good chance they'll continue their intense media push to keep the Army aware of their ongoing territorial advances as they recapture the hearts of fans around the world one final time. All signs point to an amazing tour underway in Music City. "We're doing absolutely the biggest KISS show," said Starman Paul Stanley in advance of the concert. "We go out there and we raise the bar and we're raising it again." In fact they did. By all accounts adherents new and old are saying this is perhaps the best KISS experience yet. The production and performance sounded great, was full of all the hits and was nothing short of a high-class ten all around. You want risers and flames? You got it. You want laser shooting guitars and video game antics? You got it. You want the hottest band in the world? You most certainly received that - at least we did in Nashville. KISS is Paul Stanley, Gene Simmons, Tommy Thayer and Eric Singer. Perhaps the only person who got more than he bargained for was guitarist Tommy Thayer. Gene Simmons met up with him mid stage fresh from his blood-inducing take on "God of Thunder". Still dripping Gene used his most famous appendage and gave the Spaceman character a full lick on the side of his face before planting of huge messy kiss directly on the lips of the axeman. Not sure Ace would go for that. But, Thayer was grinning ear to ear - the band is named KISS after all - and he's damned happy to be there. "Michael, we're not playing a game, honestly," Gene relayed to a similarly sized former NFL linebacker Michael Strahan on ABC's Good Morning America at the start of the year-long trek when asked if this was really the end. "We are celebrating this last one worldwide tour. 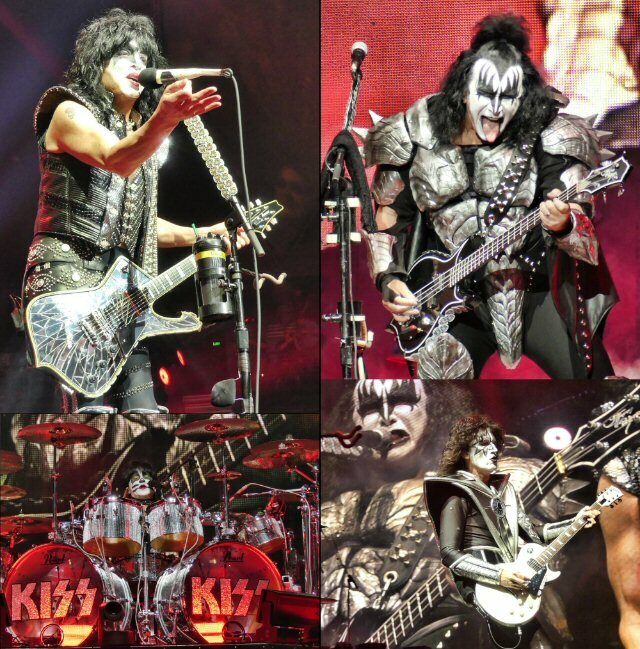 We are going to give you the mother of all KISS shows." Gene Simmons is larger than life in Nashville. 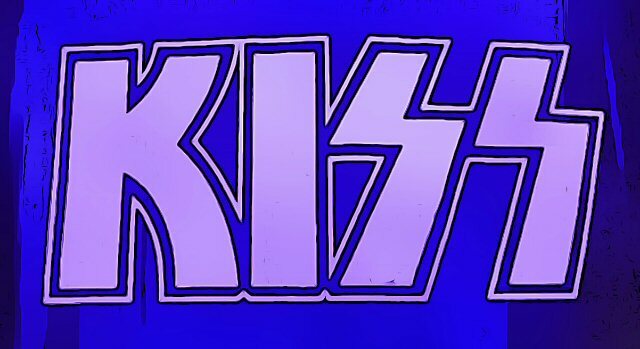 For a band that spent its career marketing everything from condoms to caskets - and with a Golden Anniversary on the docket in 2023 - who could blame them for taking one more golden opportunity to milk the cash cow that is KISS when their 50th comes along. As I peer into my crystal ball it seems plausible that the group could do 50 dates in 10 cites to commemorate the occasion and that wouldn't be a tour per se. More like a series of residencies in their best markets. Tie in those dates with a climactic KISS Conference in each city and that would gloriously and ceremoniously crown the Kings of Rock n Roll one more time before finally sending them on their way. So, this concert might have really been the mother of all KISS shows and it got me to thinking about the time my mom called me up one day when she was well into her 80's. She was gushing over the articulate and talented painter Paul Stanley who had just been featured in a profile on CNBC - the television channel she liked the best - for his colorful artistic output. "Isn't he that boy from KISS," she would ask already full-well knowing the answer. That boy and his mates are all grown up now and definitely near retirement age. But, don't let them tell you that the "End of the Road" is the end of the line. That just wouldn't make any sense or dollars. We'll never forget our first KISS in Nashville. 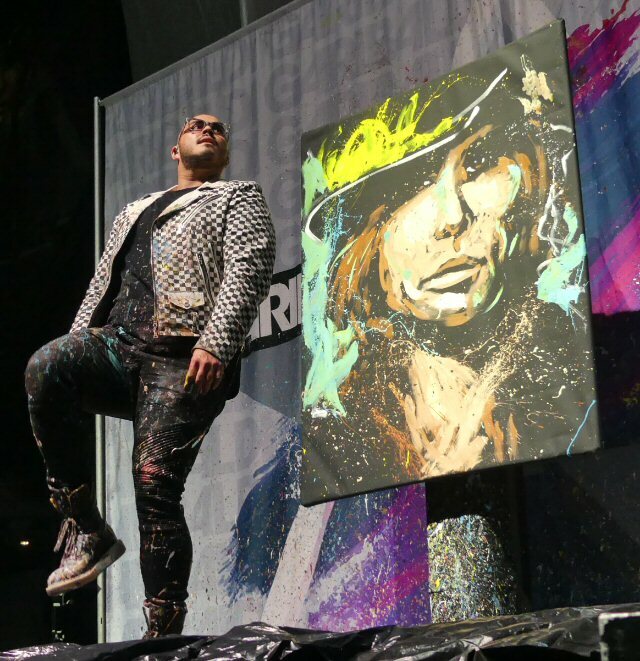 Speaking of artists, David Garibaldi - seen on America's Got Talent seventh season - warmed up the crowd with a convincing set of his rapid pace performance painting all powered by pulsating music. He literally attacked three canvases over the opening thirty minutes banging out likenesses of local favorites Steven Tyler and an upside down Johnny Cash to the amazement of the mesmerized in Music City. For his final act he rendered a Nashville themed edition of the headliner that was scheduled to be auctioned off to benefit a local charity. 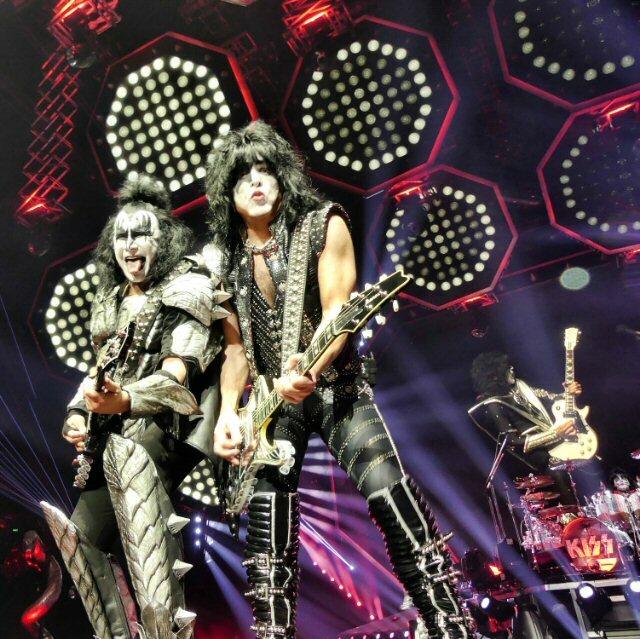 The Bridgestone Arena located in downtown Nashville is home ice for the Predators and it also hosts a wide array of concerts such as KISS. Upcoming events at the popular venue include Godsmack, Jimmy Buffett, Dave Matthews Band, The Who and Jeff Lynne's ELO. Opener David Garibaldi produced masterpiece paintings in record time.